My daughter is going through a major puzzle phase lately and I think we have bought all of the puzzles that Target carries. 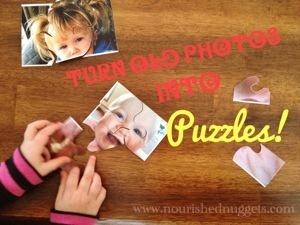 We love recycling stuff so I decided to make her a few puzzles out of some old photos I had left over from scrapbooking. 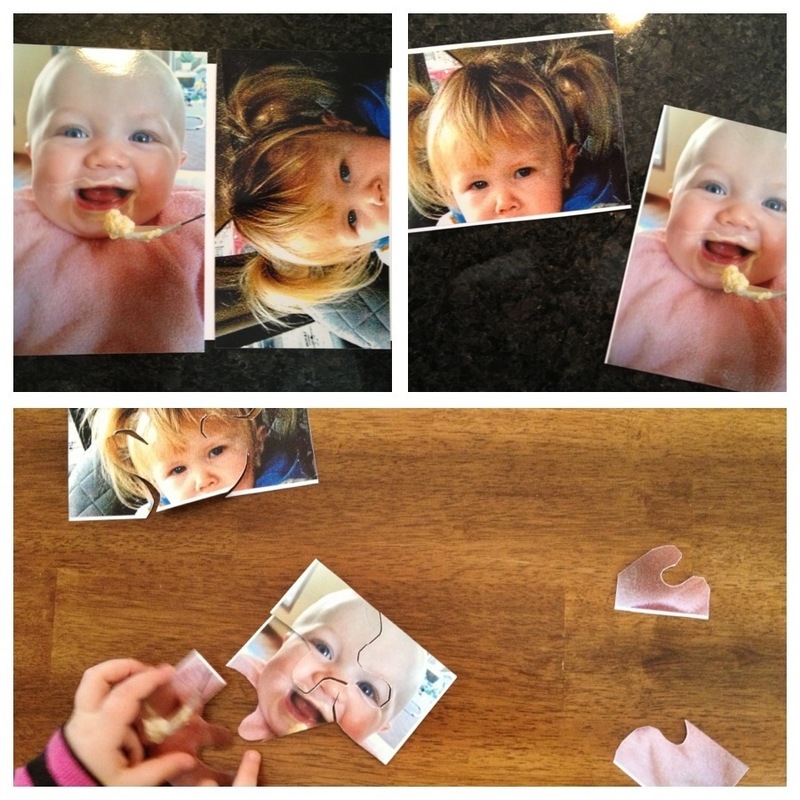 Bonus: she giggles the entire time putting them together because they are silly family photos!